We children Jimmy ( my age) Jack and Noah ( his sons) Bill and me hung on the cemetery wall to watch. Until 31st August 1921, almost three years after The Armistice, service personnel received a military funeral, and an official World War grave. My Aunt Mary, looking back more than 80 years, remembered watching the funeral of her Uncle Arthur in the summer of 1920, along with her little brother Bill, and Arthur’s sons, her cousins, Jimmy Jack and Noah. There was a military funeral. Lots of soldiers and a padre in uniform who read from the bible. Three soldiers with guns stood each side of the grave and fired their weapons over it. Walsall Wood Cemetery would have been a procession of only 300 or so solemn paces for the funeral cortege from “The Vigo” where Arthur Enoch Horton had lived with his wife Alice, and their family. His children had evidently been allowed no role in the ceremony. 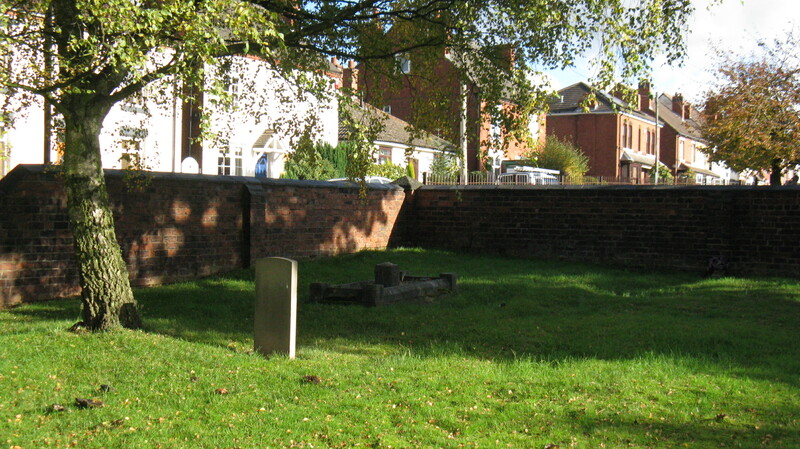 Jack, aged 14, Noah, aged 12, and Jimmy, aged 7 were reduced to peering over the coping stones of the cemetery wall with their cousins as their father’s body was laid to rest. Uncle Arthur, [my father’s] brother-in-law and relation, frightened me. He seemed like a giant in his army uniform, he had brown fierce eyes I could just see under his cap. I remember him a sick man in bed with a cough that seemed to make US feel ill. Died from Mustard Gas I assume. Annie Alice Horton, Arthur’s widow, was Grandad Horton’s sister. 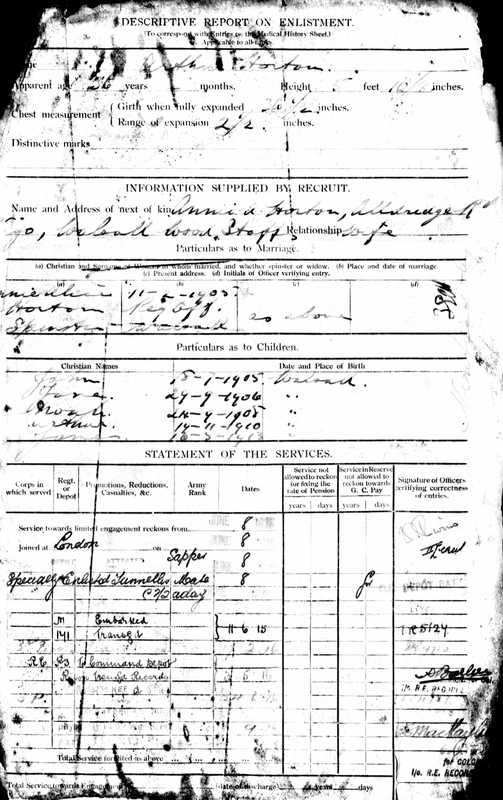 Arthur Enoch Horton was also my grandfather’s (and therefore also his own wife’s) cousin. Such was the cautious mode of mate selection in Grandad Horton’s family that two of them married their first cousins, one married his second cousin, and the remaining sister, Hannah Maria Horton, married her sister-in-law’s cousin, Samuel Price. Sam’s mother was a Blann aunt of my grandmother. Hannah’s descendants are therefore doubly related to me. A simplified plan of part of the Horton family tree, showing the surprising extent of cousin-marriages in my grandfather, Alfred Noah Horton’s generation. The most recent interment I attended at Brookland Road was that of my father’s cousin – twice over – Elizabeth Margaret Haycock, nee Price, Great Aunt Hannah’s daughter. I remember, as a child, being delighted with Cousin Margaret’s obliviousness to norms of behaviour and her devotion to the natural world: tortoises and rabbits lived in luxurious liberty in the sitting room of her house, which was on the steepest part of Shire Oak Hill. Previously unencountered relatives who presented themselves at her wake made me and my mom swoon with their (understandable but still remarkable) resemblance, both in looks and mannerisms, to my late father. Arthur, himself both my great uncle and cousin-twice-removed, was born in Shenstone in 1879. He was over 36, not in the first flush of youth, when it became clear that War against Germany would not bring the swift and easy victory which was at first promised. He signed on with the South Staffordshires in Lichfield on the 15th of February 1915. But Arthur had a special skill as a miner. He became, by June that year, “Sapper A.Horton, “Specially Enlisted Tunneller’s Mate” into the 176th tunnelling company of the Royal Engineers which saw action in Loos and Arras. Uncomfortable vignettes inspired by Sebastian Faulks’ novel, “Birdsong” come into my mind when trying to picture the challenges and privations which Arthur must have faced during those campaigns. 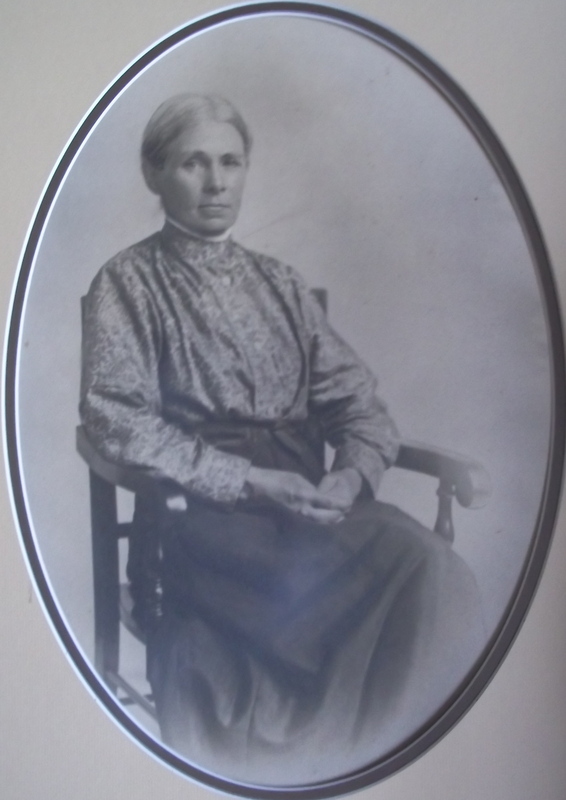 My great grandmother, Elizabeth Horton, nee Shingler, born Cartersfield Lane, Stonnall, 1862. [my father’s] mother was a very nice person – she lived in Aunt Alice’s front room (Aunt Alice was one of her daughters), I didn’t see much of her. What I do remember was a white ironed cloth on the table, sparkling brasses, sparkling grate and kettle, and Granny, smiling, with shiny shoes, black skirt, white apron, white blouse, and white hair fastened up the back of her head. She used to say ” Well, come in child..” I was allowed to stand beside the window covered with white lace curtains, even the lamp on the table had a white globe on it. I really wasn’t allowed to go to Grannies, when she and Aunt Alice walked down the street to go up to what used to be the R.A.O.B. orphanage for unwanted children ( Granny sewed, Aunt Alice worked) Bill or I were not allowed to speak to Granny – because we would get walloped [by their mother] we didn’t- but as my face pointed to the street, I always smiled. The orphanage was opposite Birch Lane on the way to Aldridge – believe it became a school. Often wondered if my Dad knew we were not allowed to speak to his mother. You are making SUCH a good job of linking all this together… one or two people have asked me if it is going to be turned into a book… what do I tell them?????? Must get on with my e mails so I can do some more memoirs ! Do you know, it is REALLY very emotional imagining my little Mother hanging over this wall all those decades ago… thank you so much for going and taking this pic. Pleased to meet you, 3rd Cousin!